From December 26, 2010 until January 6, 2011 we will be traveling to China and performing numerous concerts in Shanghai, Yinchuan, Chendgu, Kunming and Beijing. We will be posting comments (and hopefully pictures) along the way. Stay tuned! We had a marvelous time in China. We called it the “Food Tour” because it seemed that we were always eating! The meals were all buffet style and delicious! It made us want to buy a lazy susan for use at home. My attempts to update this blog were thwarted by the Chinese filtering, monitoring and blocking of certain websites. WordPress was unfortunately included in this blockage. A colleague (more savvy than I am at these things) was able to work around this internet censorship, as are many clever Chinese as well. I’ll post a few of my photos. 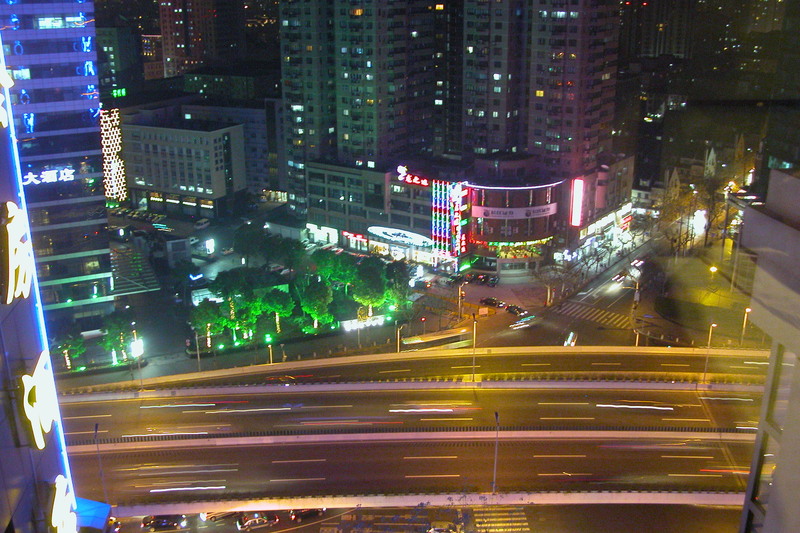 Here is the view outside our hotel room at the Shanghai HoJo’s the first night in China. 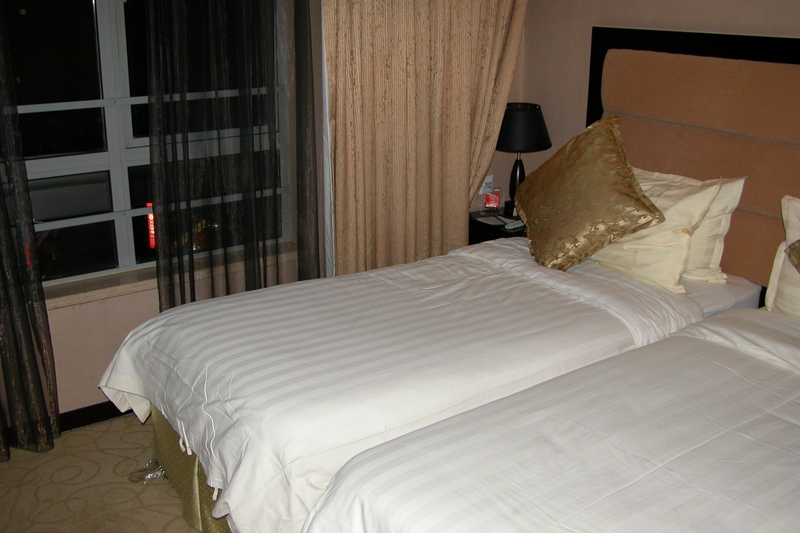 Many of the bedrooms in the hotels where we stayed had twin beds pushed together like this. They were incredibly firm (more so than a futon) and were very comfortable to us. Please, please post comments about the tour (that I wished I could have joined!) Warmest wishes to all musicians on the Safari to Share Sousa with China!